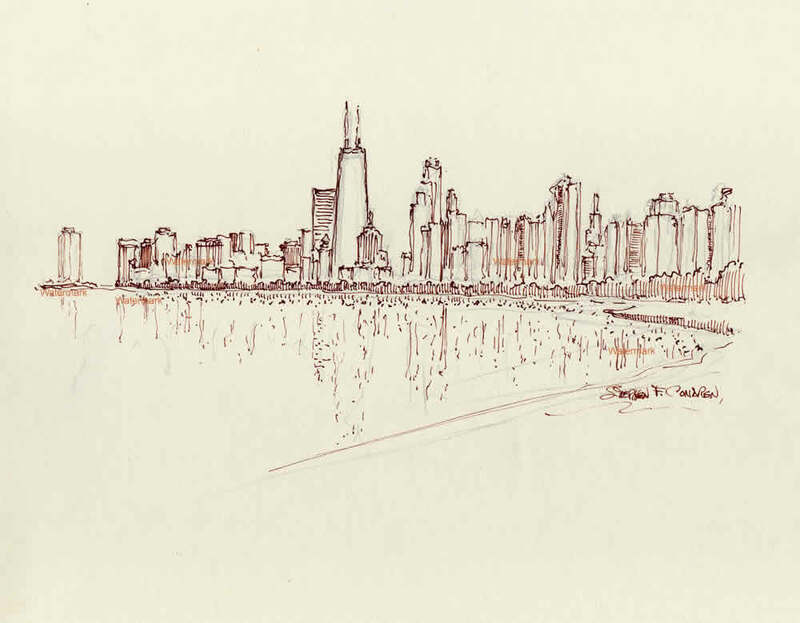 This article is about Chicago skyline pen & ink 6/24/2018D, which is for sale at discount with prints by artist Stephen F. Condren, BFA-SAIC, of Condren Galleries, a Fine Arts Gallery, offering JPEG & PDF scans. This skyline, which is one of my favorites is a view of Chicago looking south from Belmont Harbor. The center of attention is the world famous John Hancock Center. The use of hatching is worked in line with the water and the buildings. There are no deep shades and shadows in this rendering as the most of the structures are outlined.